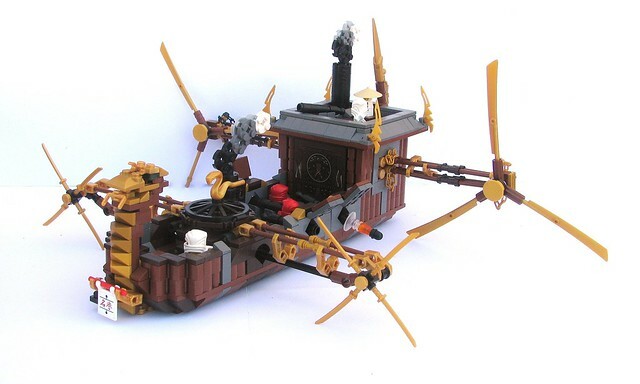 This is a well crafted mashup of steampunk, Agents, Ninjago and awesome. It sort of reminds me of something you'd see in Bladerunner or Fifth Element, and I love that. This was a free build for the Agents of the Imperial Crown contest at the Steampunk Flickr group. There's still time to enter (by the 28th) so get building!